These house plants are beneficial to your health, you should have one or more of these in your house. Bamboo Palm: According to NASA, it removes formaldahyde and is also said to act as a natural humidifier. Snake Plant: Found by NASA to absorb nitrogen oxides and formaldahyde. 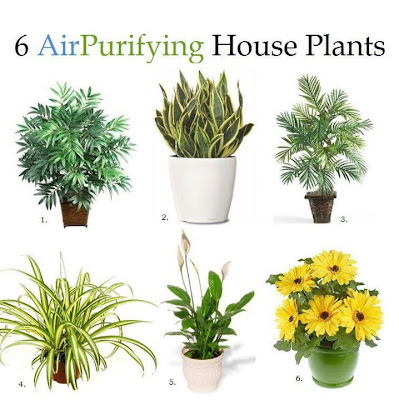 Areca Palm: One of the best air purifying plants for general air cleanliness. Spider Plant: Great indoor plant for removing carbon monoxide and other toxins or impurities. Spider plants are one of three plants NASA deems best at removing formaldahyde from the air. Peace Lily: Peace lilies could be called the “clean-all.” They’re often placed in bathrooms or laundry rooms because they’re known for removing mold spores. Also know to remove formaldahyde and trichloroethylene. Gerbera Daisy: Not only do these gorgeous flowers remove benzene from the air, they’re known to improve sleep by absorbing carbon dioxide and giving off more oxygen over night.